Meet Short SBA OHA Size Appeal Protest Deadlines & Work Closely With Aggressive SBA Government Contract Small Business Lawyers. Help in ALL States. Free Initial Consultation 1-866-601-5518. The SBA does make mistakes in its formal small business size determination. The challenge is for you to uncover the legal mistakes or factual error in the actual decision. This task is not always readily apparent. 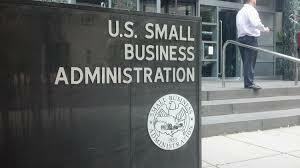 Most small businesses, nevertheless, attempt to appeal the case to SBA OHA via a small business size appeal. Unlock the ability to uncover serious SBA error and protect your rights to your contract award. If your company receives a favorable decision from the SBA but the other company appeals to OHA, our size appeal lawyers can vigorously protect your rights. Filing an SBA small business size appeal to the Office of Hearings and Appeals require companies to comply with very strict procedural rules and legal requirements. Failure to meet these legal requirements may cause the SBA to ask OHA to dismiss the size appeal case. The key to winning a size appeal at SBA OHA is to provide all relevant documents at the SBA investigation level and to raise what legal arguments you have at that level. Raising new issues on appeal will be problematic. OHA rarely allows new evidence or arguments for the first time on appeal. At the end of the day, you are fighting to save your chance to secure revenues for your company. Therefore, it is important to not make costly mistake either at the SBA or during the size appeal litigation. With law offices in Washington DC and Colorado, the SBA bid protest lawyers at Watson’s & Associates, LLC are positioned to provide legal help to government contractors filing a bid protest or small businesses seeking to intervene in the case. As federal appeal lawyers, we provide deep experience with the various SBA legal theories involved with assessing the legal and factual basis for the lawsuit – a requirement to file or litigate the decision. When the SBA makes an adverse decision, whether it be a size determination in an 8a application or a competitor files a small business size bid protest, knowing how to navigate through legal nuances of an SBA OHA size appeal can be confusing and stressful. Get the legal help that can articulate how the SBA committed legal or factual error in its size determination. Prepare legal briefs that can convince judges that you have a strong argument. Get legal representation at competitive rates. There are various landmines in SBA size appeal regulations that can be confusing and misleading. If there is an adverse decision against your company, having the right legal advice is essential. Acting quickly is important given the short SBA deadlines. Not meeting the filing requirements can cost you the contract or the ability to gain a second chance of getting an award. Meeting the legal standard of review is equally important. Many companies filing an SBA size appeal can face serious consequences including dismissal of the appeal is not structured correctly. SBA OHA will only disturb the small business size determination only if, after reviewing the record, the administrative judge has a definite and firm conviction that the area office erred in making its key findings of fact or law. Size Appeal of Taylor Consultants, Inc., SBA No. SIZ-4775, at 11 (2006). Finding the relevant SBA OHA case law that supports your position. Nationwide Help. Free Initial Consultation – Call 1-866-601-5518. One of the most litigated issues in small business size protest lawsuits is the improper use of government contractor teaming agreements. If you are the prime contractor bidding on a government contract, you must be aware of the complex procurement regulations that apply to your particular situation. Our SBA size appeal attorneys can assess the relationships and also provide guidance that can minimize the impact of a bid protest. File the appropriate documents on your behalf. We represent government contract small businesses in all states. For immediate help litigating SBA size protests and small business definition violations, call an SBA size appeal lawyer at 1-866-601-5518. FREE INITIAL CONSULTATION. Understand the regulatory requirements and comply with SBA and FAR JV agreement rules.